Today, my husband and I decided to WALK to the Farmer’s Market in Silver Lake (Sunset Blvd). After walking around, I started to crave something sweet. I always drive by the area and see a massive crowd around Pazzo Gelato, but never got to check it out. Well, I finally got to try their gelato!!! For about $5, my husband and I got to choose 3 different flavors (medium size). We got the Almond Chip, Madagascar Chocolate, and Coffee Crunch. My favorite of the day was the Almond chip flavor. I can’t wait to try the other flavors! I’ll be sure to stop by again next week. 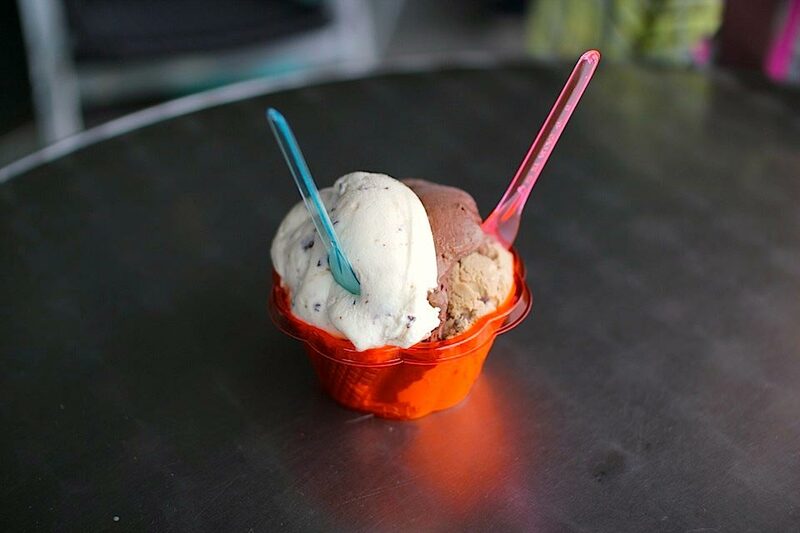 If you’re in the Silver Lake (Los Angeles) area and craving something sweet, try Pazzo Gelato.